The Annual General Meeting was held in St. Paul’s Station (between St. Mary’s and Stratford) at the Downie Optimist Club. 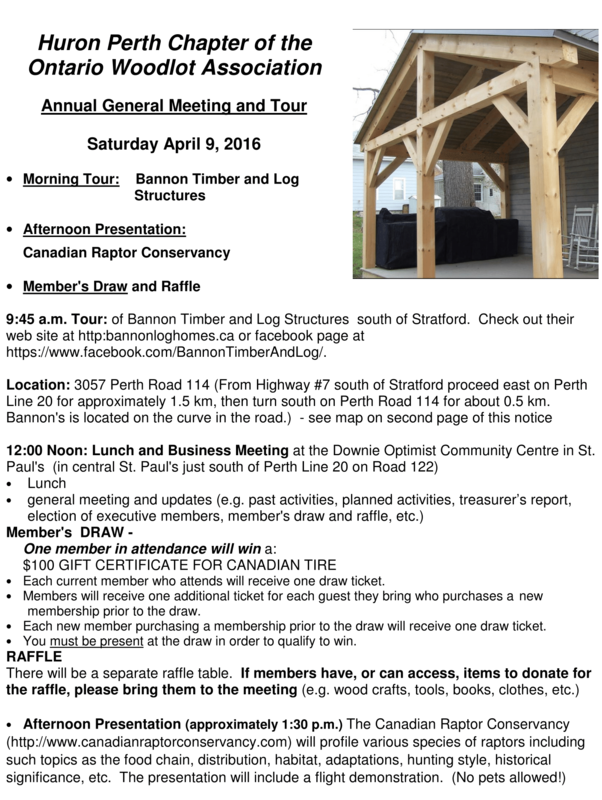 There was a demonstration from Dan Bannon of Bannon Log Homes in the morning. After the business meeting and lunch, the Canadian Raptor Conservancy did an impressive live flying demonstration with birds of prey.